It’s the most beautiful time of the year! Santa Claus visited Gamewheel team earlier this year to share some of his magical tricks in building Christmas games! So, we are proud to announce that we have everything you need for your Christmas campaign. A list of 10+ Christmas mini-games are available for you to jingle your Christmas Marketing Carols. From the beloved Adventskalender to Christmas Collector, Santas Scratch Card, Bouncing Elf, Christmas Gift Catcher, Gift Stalker and Christmas Gremlins. You can build your entire Christmas campaign through Gamewheel wizard. Firstly, sign-up to create a Gamewheel profile – in case you haven’t done it already – here. Then, pick up your favourite Christmas design and easily create your own Christmas Game adding your personalized features. Hohohoho!!! What is impressive about Gamewheel is that previous programming knowledge is not required. 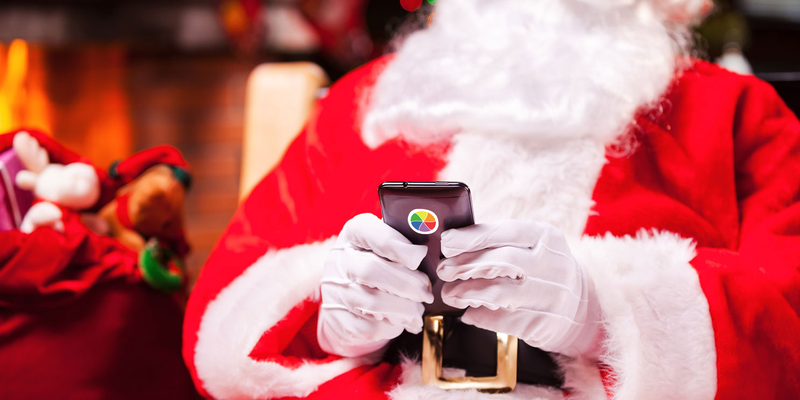 You can just link the code you’ll get of your Christmas Game with any existing landing page or special Christmas offer you have; plus it is possible to integrate it across all your communications channels like social media, mobiles, in-app, or even AR/VR features. As for the costs, you can just start with 1000 free game plays and pay us per play as you go or get in touch with sales@gamewheel.com in case you’re planning a major campaign. Make this Christmas special to your target audience! Boost your sales, advance your marketing goals and impress with your CTR! 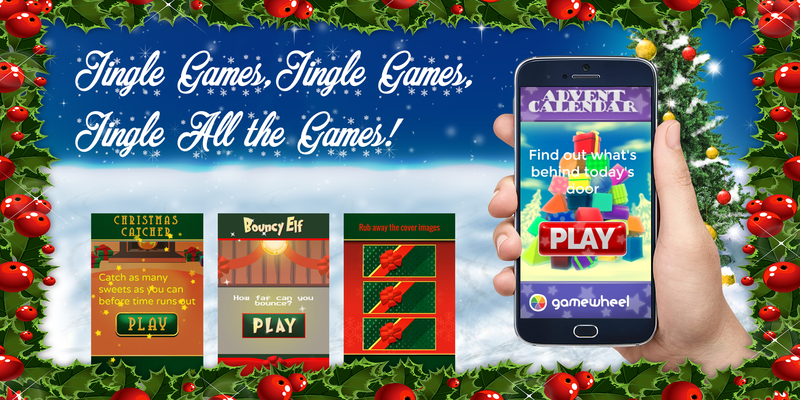 This Christmas you have everything you need by Gamewheel,the first complete self-service online platform for Gamified Ads. Playing Games. This is Serious Business. When legendary band Scorpions released “Wind of Change” in 1991, a lot of people agreed on the fact that it was a good song but so few could guess that it would be –wait for it- legendary. In 1991 we didn’t have social media. Or internet. Or even mobile phones. We were not “connected” and “digitally evolved”. But we had one thing: Games. Sometimes Games appeared in the shape of a black box called as Atari, sometimes a small light grey box called as “Gameboy”, before that we had “Gamewatch” and even we had “Game”- “Watch”. And last but not least, as you can guess, arcade stores. A lot of people agreed on the fact that it was a good way to spend time but so few could guess that it will be,…legendary. The games were not impressive if you compare them with today games but those small games were achieving a huge mission: Making youngsters social. We were socializing through these small games. We were making tournaments, sharing our games, playing together. It was the first glimpse of what social media will be. Then when the internet era started, those small games were suppressed by massive MMO games and PS, Xbox consoles and you know the rest. “Gamers” were a niche group, mainly focusing on games with high graphics and deep stories. But suddenly something unexpected happened. With the invention of “App Store” and with the rise of Facebook, games became more and more reachable and easy to play. Your 64 years old mom started one day cultivate carrots and the other day she crush candies. Thanks to the rise of mobile, smart phones and tablets; age barrier collapsed, easy-to-play games became a new way of spending quality time. And more than just spending time, it started a social hype. We were sending lives to each other or asking money for the cows. Games were once again socializing people. But this time not only for the youngsters, but for everybody. The Wheel of game started spinning. And that’s where we, Gamewheel joined the game. What if I told you 10 years ago that you will be communicating without talking, not even typing but only sending some static or looped moving images? Or that you will share your feelings to thousands of people that you actually don’t know with small illustrated sad and crying faces? We believed in this future and we knew that communication means talking, talking means offering, offering means advertising, advertising means marketing. And this means business. Serious business. While everybody was in the hype of video ads, we were claiming that future is in game advertising. Now everyone is excited about the Facebook Messenger & King game. Having a game inside message chat screen is getting serious than ever and people are looking for some ways to do it. And here we are, with our Cuuura campaign where a brand game worked flawlessly in Kik Chatbot. Yes a game in a chat screen. So in Gamewheel, even with an experience of VR from 1994 on board, and faith from our hearts, we are always taking our steps further or quicker or faster. We are strengthening our connections with major companies like Facebook each and everyday and with new games, new ideas, and as a result new partnership doors will be opening very soon.